The 4' Teak Glider Bench is constructed of solid Grade A teak wood with a classic British design. This glider comes with a 30-day money-back guarantee! 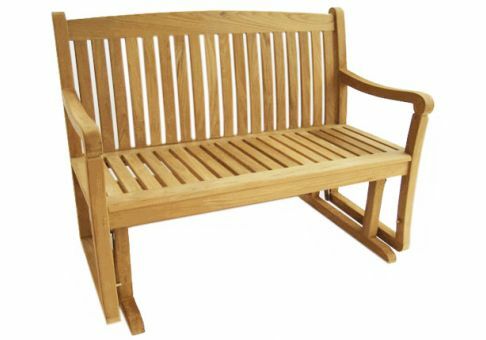 Length: 48" - Width: 23" - Height: 38"
Atlanta Teak's teak furniture comes with a "Guaranteed" satisfaction or ship it back! Commercial Site Furnishings stands behind Atlanta Teak's product quality, customer service, and return policy that is second to none in the teak industry.